Authored by Richard K. Ladroga for the 2018 Onshore Energy Conference in London, “The Dynamic Electric Grid” examines complex changes in the electric power industry and subsequent effects on both insurance and electric power sectors. 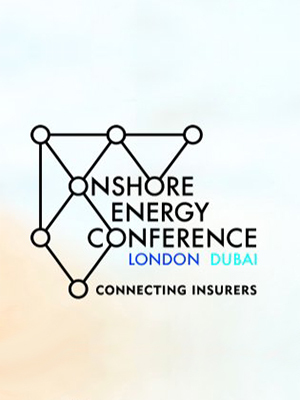 The annual conference brings together insurance professionals from across the oil, petrochemical, and power sectors, and this year arrives on Wednesday, November 7th. The future is now here, at least with regards to the electric power industry. Mankind’s brilliant harnessing of the electron for everyday use has remained a large, lumbering giant of an established industry that experienced little change over the course of the past century. While there have been many significant advances along the way, including higher transmission voltages; improvements in manufacturing, testing, and maintenance; the change from mechanical analog meters and relays to digital technologies, and a great deal of other technological advancements, for all intents and purposes the function and operation of electricity grids around the world has conceptually remained largely the same over time. All that began to change in a cascading domino effect starting with the deregulation of the industry, which began in the UK with the Electricity Act of 1989, and took root in the United States in the early 1990s. As the predominantly siloed configuration (Generation/Transmission/Distribution) of electric utilities became unbundled, the opportunities for free-market enterprise and entrepreneurial change became available to investors. The world did not universally adopt deregulation as an industry model standard, and many utilities, regions, countries, and even several continents currently offer nothing in the way of deregulated energy markets. Yet many do, and herein lies the changing landscape we are now experiencing. So, what is all of this change everybody is buzzing about? Has the grid really changed? The answer is a strong, definitive yes. Let’s look at the most obvious examples first. The relatively recent groundswell of public opinion towards global warming has created an aversion towards historical industry usage of carbon-based energy sources such as coal and oil, while accidents within the nuclear power industry have also created some backlash against this clean, dependable resource. Many developed nations have made a conscious shift away from coal, oil, and nuclear energy sources and have opted for cleaner technologies such as natural gas and renewables such as wind and solar energy. The relatively low cost of natural gas may prove to be the undoing of many coal and nuclear fired units that simply cannot operate competitively. While on the surface this may seem to be just a simple market reality tied to a free enterprise system, the reality is that the loss of long established and strategically placed assets will stress other assets to the breaking point. The grid is arguably the world’s most complex machine ever built, and it is currently being challenged in ways that were never considered or planned for. What do these large shifts in the primary energy bases have to do with the insurance community? Have these changes made an impact on how the market insures risk in the electric power sector? In all reality, the shift in the energy base has had little effect on this market. But what about the opening of the electric industry to competition? Has that created a change? The answer once again is a huge yes. 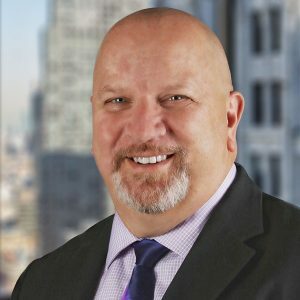 As a Director, Richard Ladroga provides technical oversight and management of the firm’s Energy team, encompassing both pre and post-loss services. With over 28 years of professional experience as an electrical power systems engineer, Mr. Ladroga has earned extensive experience in analysis, design, testing, risk assessment, and forensic investigations of a large variety of projects involving electrical power systems. Mr. Ladroga has performed electrical substation design to 500 KV. He has also performed electrical system design for power generation facilities, including nuclear, fossil fuels, and hydro; large scale microwave communication systems; large scale waste water treatment systems; aluminum and steel ore smelting foundries; petrochemical drilling fields and refineries; pulp and paper manufacturing; mining properties; and structures including industrial, communications, healthcare, universities, and high-rise buildings. For more information or to contact Mr. Ladroga, click here.